The White Horse wasn't a pub but a Beer House - an ordinary house selling homemade beer through the window or over the door way. As time passed by it would allow people to enter the house, not just to buy beer but to also consume it on the premises, this gave rise to the word 'Public House'. 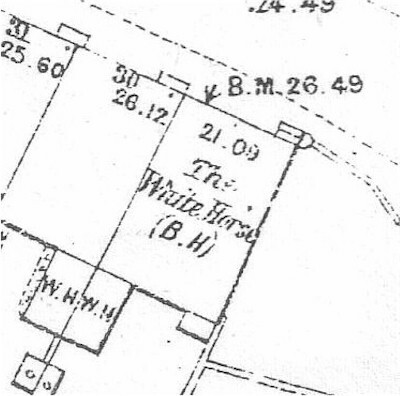 We know it was called the White Horse in the 1850's, but we don't know when it ceased trading, the building itself survived until the 1960's. 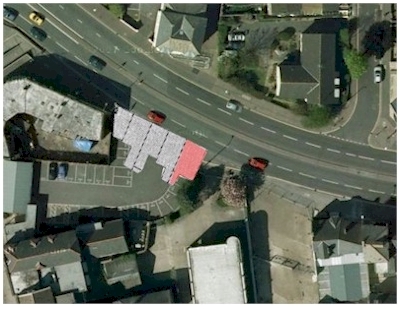 The building has long since been demolished, making way for the road widening scheme that permanently changed the way North Street looked. The approximate position of the White Horse had it have existed today. As you can see, it formed the end house of a small terrace.